Well, if you're reading this, it means that you have survived my Paris spam and live to tell the tale (or read the tale, in this case). So I'm probably a little thin on the ground with my evening shots. I'm not always sure whether this is due to lack of natural daylight, or the fact I just drank too much wine (probably both). This outfit absolutely needs a special mention though. I actually got this around Christmas but never really got the right setting to wear it. I think there is something about a wide legged trouser and a heel that makes you look 3X taller (sure, thats an exaggeration) than you actually are. Maybe I was trying to compete with the stature of the tower behind me. Plus - Paris in the middle of February ain't too kind on the old temperature side of things...cue the long sleeves. 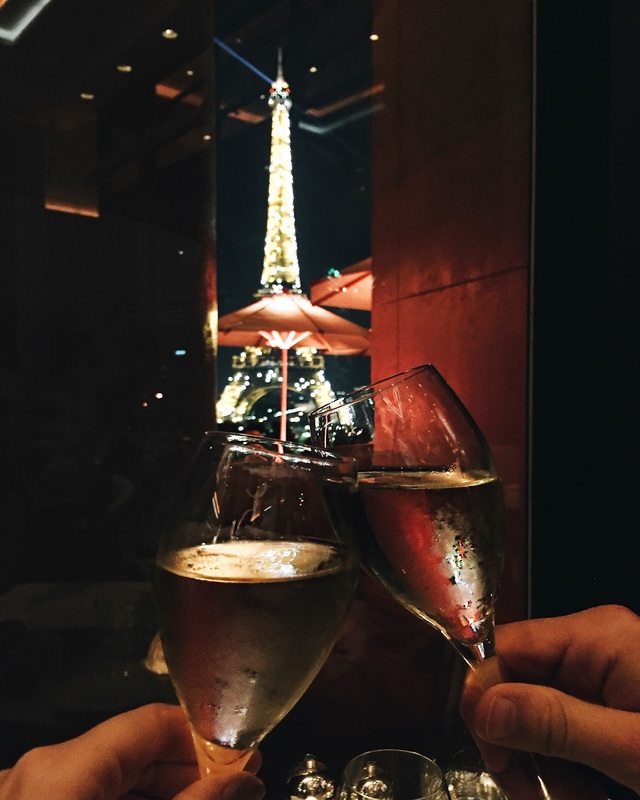 I swear that if we hadn't had a table booked that night (and also return flights home) I would still be sashaying around the foot of the Eiffel Tower right now. So this top is actually a body (even more amazing - right?) and I was so obsessed with the fit. For an item that covers quite a lot of skin, I was impressed that there was a cut out to at least show a little skin. I feel like silk just makes you feel a little invincible. Pair this with a hint of wind in my hair and that was that. Job done. Now, I would class myself as a relatively tall person, which I thought made it perfectly fine for me to order these trousers from the "Tall" section of Missguided. Chances are, I think I actually did Paris a favour by sweeping the pavements as I walked along - but hey - they still looked cute. As I mentioned in my first post, I really love anything with a tie waist, as it helps to pull me in at the areas that are most flattering for me. These trousers do just that but in addition to the waist they are just the softest things in the whole world. So much so that after this night I actually stayed in them for an hour or so around the room and tried to pass them as Pyjamas. Ok fine...so I travelled home in them too. The wide leg/Vans combination was more of a "Snapchat vibe" than the blog though - sorry guys. No evidence to see here. 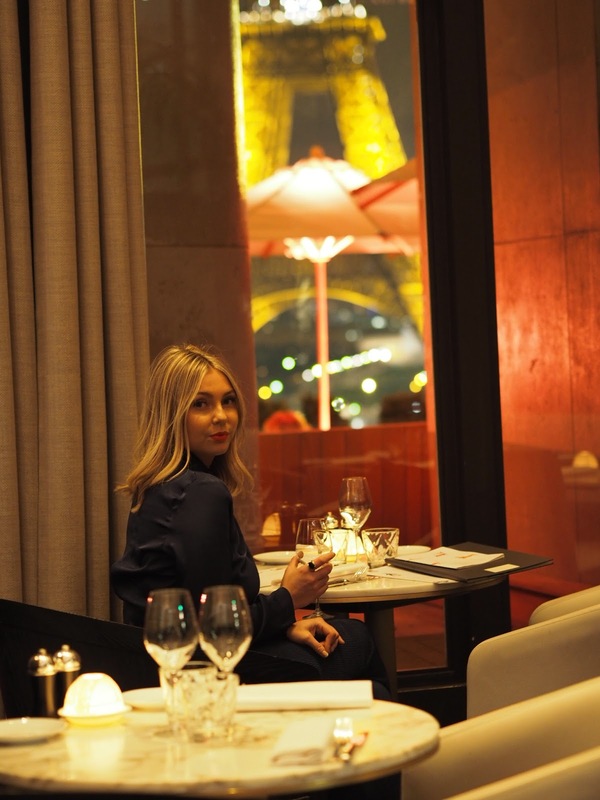 If you're going to Paris I seriously urge you to check out Cafe de l'homme. We booked a table here for our final night after reading reviews of a great roof terrance with views of the Eiffel Tower. Now it was pretty cold and late when we went for dinner - so we assumed the roof terrance would be a no-go. 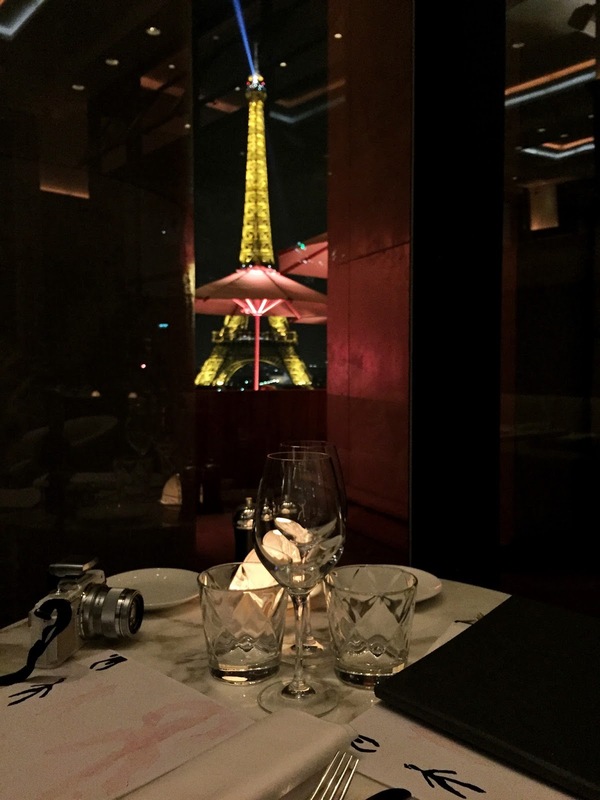 It was only when the waitress led us to our table that was actually situated in front of a giant window overlooking the tower that I realised why the restaurant had such amazing reviews. What a way to spend our final evening. Despite my clearly elated face below, I was just so overwhelmed and grateful to be in such a picturesque and mesmerising situation. I feel like I got to see a lot of Paris on this trip but in no way have seen everything that I want to. Paris - thank you and goodnight. oh wow you look stunning! Those photographs are so beautiful with the eiffel tower in the background. I'd love to go to Paris. And the scenery is too.